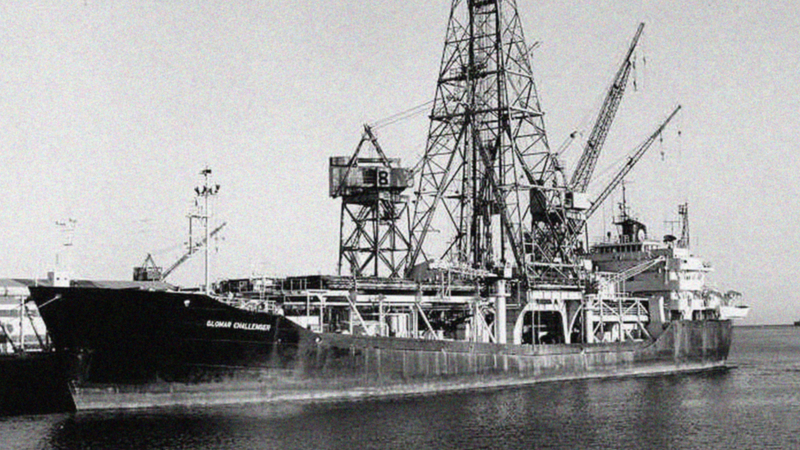 The Glomar Challenger gave geologists access to seafloor rock that could never have been studied before. Within a few years, the ship (and the scientists on it) had effectively proven seafloor spreading and plate tectonics. The Challenger also provided the first direct evidence that the Mediterranean Sea had dried up (repeatedly), demonstrated the age and composition of ocean plates, revolutionized deep-sea drilling technology and techniques, refined our understanding of plate movement, and much more. Retrieving nearly 100 kilometers of undersea core samples, the Challenger‘s invaluable data catapulted us forward in our understanding of the earth and its oceans. But the “shocked quartz” was something even more definitive. First identified in the aftermath of underground nuclear tests, geologist and early planetary scientist Eugene Shoemaker noticed the same battered minerals in Meteor Crater, Arizona. Aside from nuclear bombs and meteor impacts, nothing else on earth could generate enough pressure to shock quartz that way, so its presence in the Challenger‘s core samples meant they were, at most, within a few hundred miles of the crater itself. Sadly, the Glomar Challenger‘s part in this story was done. Her final mission complete, the ship was retired and scrapped. Her onboard chief scientist, Dr. C. Wylie Poag, would spend another 10 years searching for the elusive crater, poring over old Challenger seabed cores, seismic data, and data collected by other scientists. 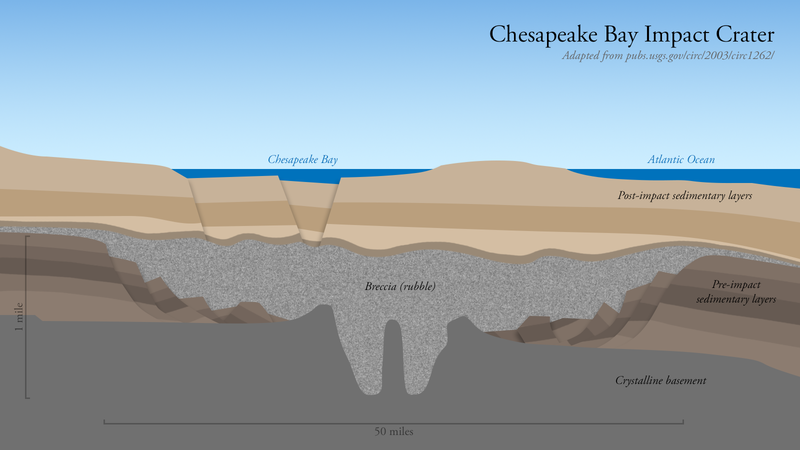 Finally, using seismic reflection data shared by Texaco in 1993, he could see it: a 90-kilometer-wide, 35-million-year-old crater buried directly beneath the Chesapeake Bay.